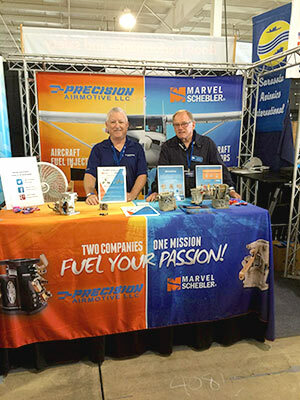 Marvel Schebler is proud to be an exhibitor at this year’s aviation show in Oshkosh, WI in what has been called "The World's Greatest Aviation Celebration." Attendance at the event is expected to top a half million visitors. If you are attending the EAA AirVenture Oshkosh this year be sure to visit us in Garmin Exhibit Hangar D, Booth 4081. Fuel Your Passion with Marvel Schebler Aircraft Carburetors and parts!